For regular readers of my blog, I apologize for having to repost this article. I will try to vary my wording so as not to repeat myself too much. The “WordPress” site has a couple of quirks where new pages are not part of a sequence and cannot be simply placed where you want them, so I have to rewrite to try to keep the posts in a chronological order. 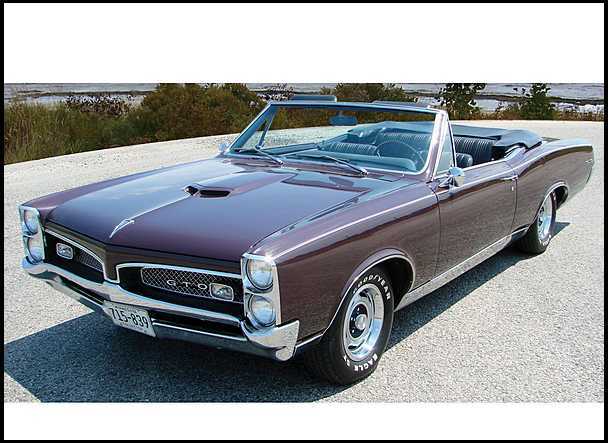 The GTO was by 1967 an American Icon and John DeLorean was setting his sights on going after even bigger fish. He was developing the Banshee prototype to give Pontiac a true “sports” car similar to the Chevrolet Corvette. 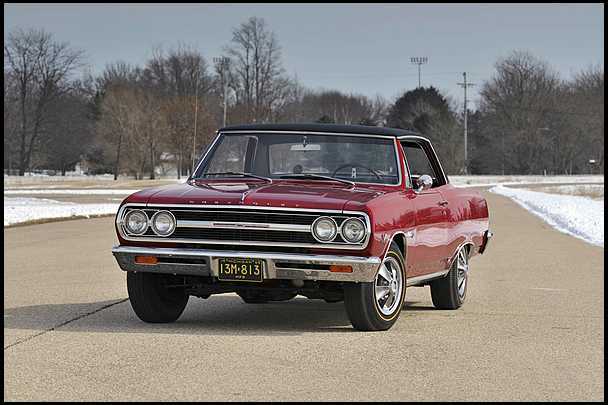 Because of the stir he caused with the GTO, this did not sit well with the Executives at Chevrolet who basically shut down any challenge to their only “Ace-in the hole”. What was offered instead was the new Camaro and Pontiac was told to develop a version of that. The Banshee was dead as far as Pontiac was concerned, however in a rather slap of the back of the hand, it would resurface as the base for the next generation Corvette. 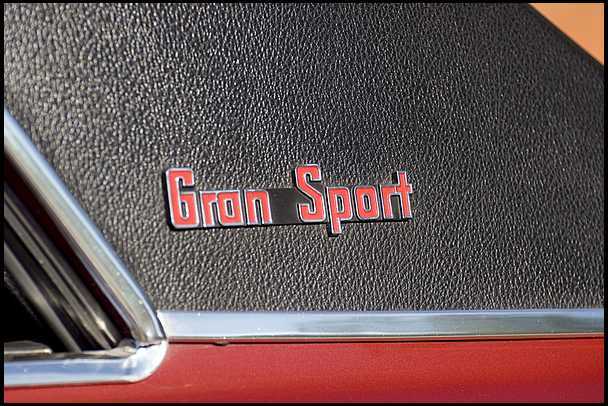 Because of the elimination of multi-carb setups, Pontiac decided to bore out the 389 and came up with the maximum 400 cubic inch engine allowed by GM for the GTO. This at least made them head to head competitors with Buick and Oldsmobile as far as engine size. So now everyone but Chevrolet had 400 motors. 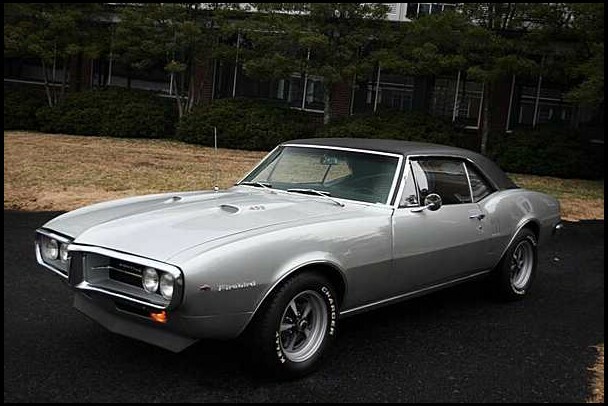 The Firebird was the car Pontiac designed from the Camaro platform. 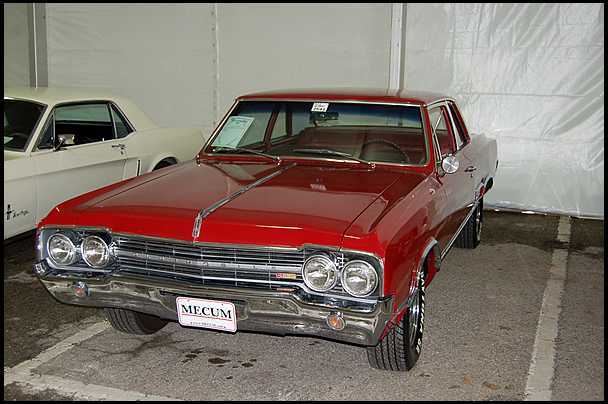 The base engine was a 6 cylinder with the 326 being the standard for V-8 engines. The 400 from the GTO was the top engine option from the factory. Several dealers around the country found that the newly enlarged 428 fit in the car and did some engine swaps to further upgrade the power ratio. This was the former 421 that was used in full size vehicles at Pontiac. As the corporate bigwigs came up with rules to keep the engineers from exploiting engine size and power ratios, the Division Heads came up with new tricks to open loopholes. In future years the biggest loophole would be the COPO orders where engines were used in vehicles that did not show up on a dealers option sheet. This was mostly done in response to what some of the Dodge and Plymouth Dealers were doing with regards to engines and transmissions. More on that in future posts. Pontiac even got their Grand Prix into the fray to some extent. 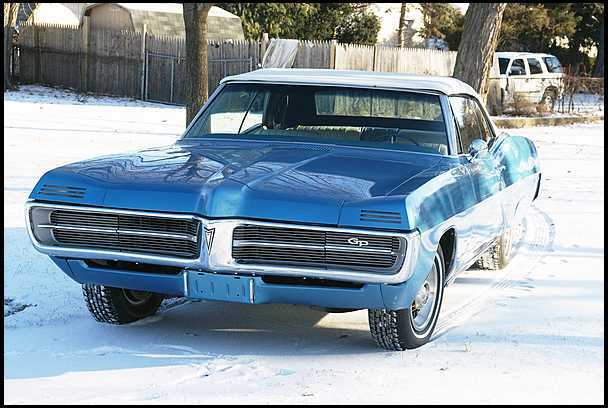 Although it was based on the full size chassis lines, it got styling cues from the intermediates with louvered tail lights similar to the GTO. Even the front turn signals carried the louvered look. And with its hidden headlights, the look was stunning to say the least. Since it was a personal luxury vehicle, the name plates and exterior styling was kept relatively low-key. 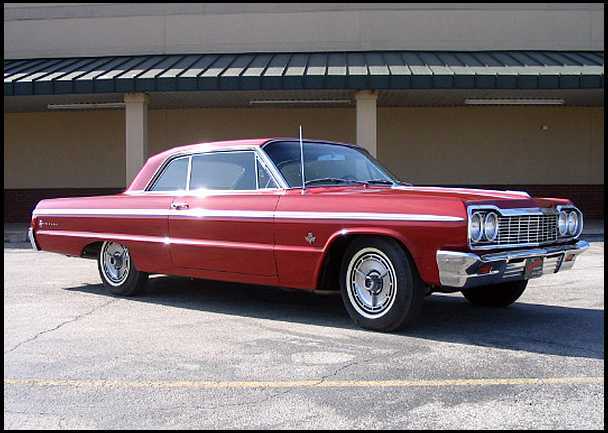 The engine for the GP was a 428, which was as big as it got for 1967 at Pontiac. 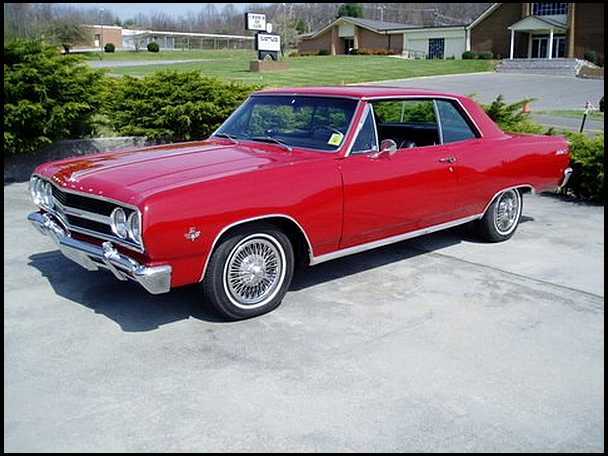 Over at Chevrolet the Chevy II or Nova was now just called the Nova. Its styling was smoothed out somewhat, but the designers still felt the time was at hand to restyle the car into a less boxy shape so the plan was just one more year for the body. 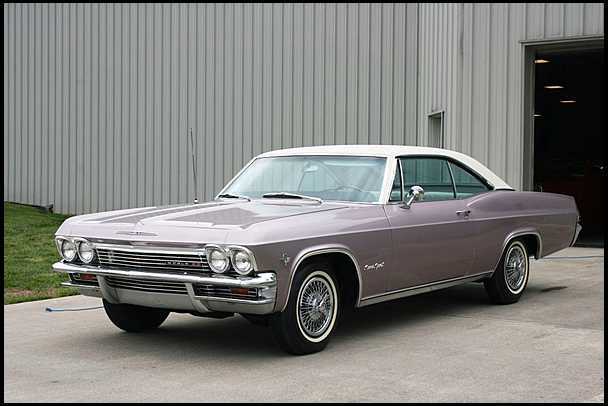 The cars narrow front end meant the top engine was a 327, which was now increased to 350 CID. This Butternut Yellow beauty was the then “New for 1967” Chevrolet Camaro. It was built to not only compete with the Ford Mustang, but to beat it. 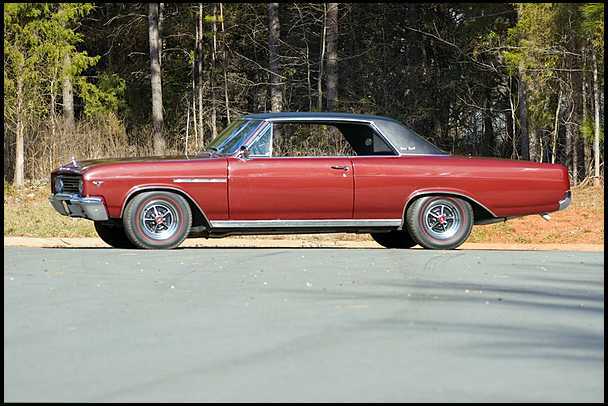 The base 6 cylinder was normally optioned out for the 350 or all the way up to the Chevelle’s 396 if someone checked the proper boxes on the order sheet. One of the “flaws” in the ordering system was that you could order the SS and the RS on the same vehicle. This occurred quite often and gave the dealer the opportunity to put almost every available option on a lot of Camaros. The dealers had maximum profit potential if a vehicle left the lot fully loaded. 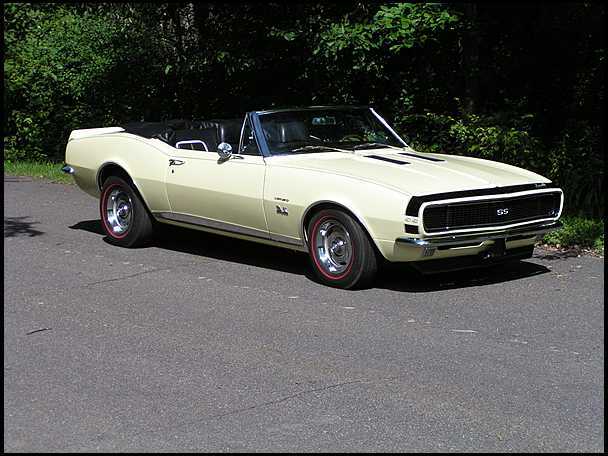 For the dealers who wanted to really make a profit,they put the 427 from the Corvette into the Camaro to create a vehicle that was just on the edge of insanity. Since it was the dealers doing this there was no breaking of “Corporate” rules. 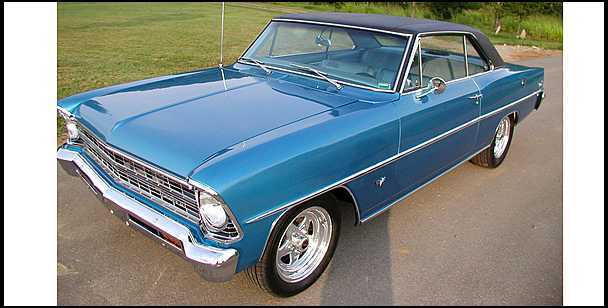 The Chevelle was designated with the 138 body series when ordered as an SS396. 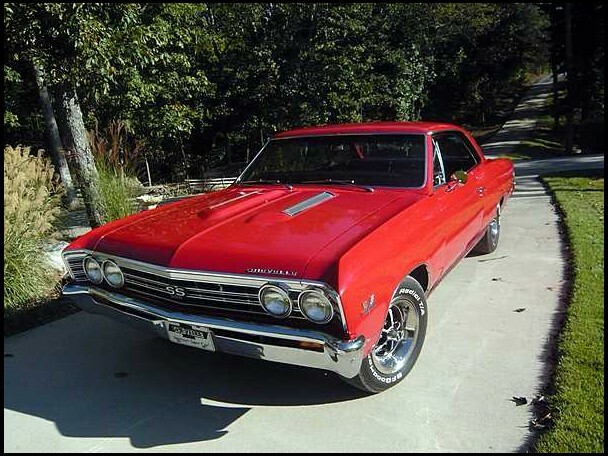 Chevrolet now was the only division with less than the 400 cubic inch maximum engine in their “Muscle Cars”. All intermediates were being redesigned for the following year, so styling changes were basically just minor sheet metal reworking. Creases were smoothed out and tail lights and grilles were restyled. So for the people keeping track, I used the same photos, and I think I did a good job of reworking the information. Kind of like the factory when they rework a model for a new year.